We are delighted to see the Duchess of Sussex supporting the brilliant back-to-work charity Smart Works. 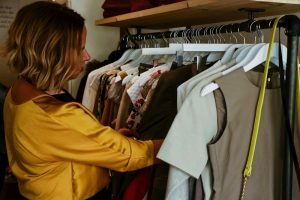 As Meghan shared her style tips with the women the charity helps, it got us thinking about our own work wardrobes and what it really means to dress for success. We all know that when you go for an interview or start a new job, looking the part can help you feel more confident, empowered and motivated. But if you’ve been away from work for a while and your wardrobe is stuffed with leggings and sweatshirts, it can all feel a little overwhelming. It’s a good idea to ask your new company if there’s a dress code. If you get the chance to go in for a tour or to meet a few colleagues before you start, take the opportunity to check out what people are wearing, too (though beware of dress-down Fridays!). While it’s always better to be the best dressed person in the room, if it’s a very casual company, you wouldn’t want to feel too out of place or to be spending money on clothes that you aren’t going to be able to wear. Take a look at the clothing and accessories already in your wardrobe that look good quality and that you think would suit your new working environment. It may only be a couple of tops, a scarf and a necklace, but do set whatever you have aside so that you can include them in your work “capsule” wardrobe. You only need 12 items (excluding shoes and accessories) to create a capsule wardrobe. Ideally, it should contain two blazers or smart cardigans, six tops and four pairs of trousers or skirts. Essentially, you should be able to mix and match everything within it, so that 12 items give you 72 outfit combinations – plenty to see you through the first few months. 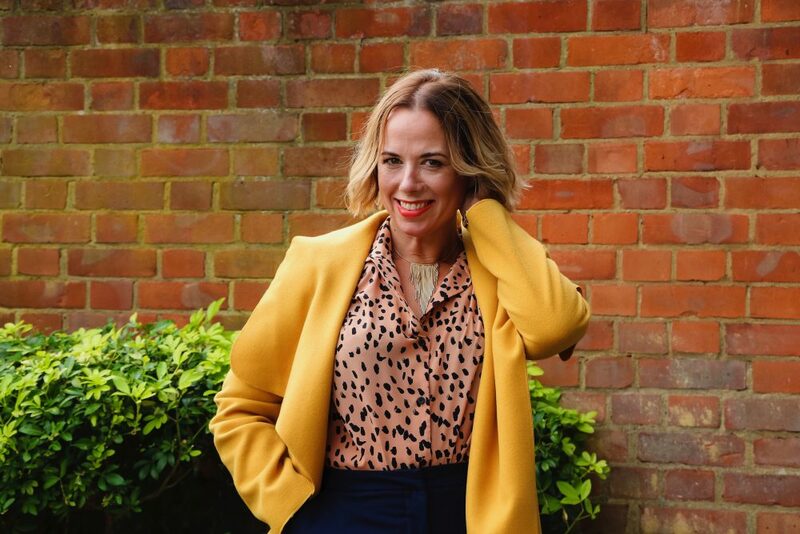 Your capsule wardrobe should work for you, so don’t stick rigidly to those magazine lists of must-have purchases – black trousers, white button-up shirts and trench coats aren’t for everyone. Navy is a good base colour as it suits all skin tones and goes with everything. It’s the colour of communication and responsibility and is also a calming colour – good news for first-day nerves! You may be able to use your existing shoes, handbags and accessories but these items are very important for finishing an outfit, so don’t let them bring your look down. A smart coat will also make a good impression. Better quality items last longer and you’ll feel good in them, which will give you more confidence. For tighter budgets, H&M is a great choice, with an extensive and affordable workwear range, as is Warehouse – just make sure the material looks good quality. At higher budgets, shops like Jigsaw, Boden, Reiss, Karen Millen and Whistles all make excellent, quality workwear. Consider the cost per wear, too – something in your work capsule will get worn time and again. A simple but effective tip is to plan your outfits the night before. Take them out and give them an iron or a steam if need be. This will take the stress out of your mornings and allow you to focus on getting everybody else in the house ready and give you a little extra time to do your hair and makeup. Whilst fitting in on day or week one is important, do start to express your personality in your clothing. Once you have the basics, you can add items and embellishments that reflect your personality! You can get more fantastic style tips and find out about Rebecca’s personal styling services here and on Facebook. Rebecca is a Successful Mums Business Start-up grad, so look out for her story on our success pages soon!